Nifty opened flat but drifted down with each passing hours to the lows of the day around 6030, a late afternoon burst saw the index back in the green, but closed just in the red at 6057.10, a miniscule loss of 2.00 points. The broader market though was weak, with just 577 advances to 766 declines. Resistance for the series now placed at 6200 level. 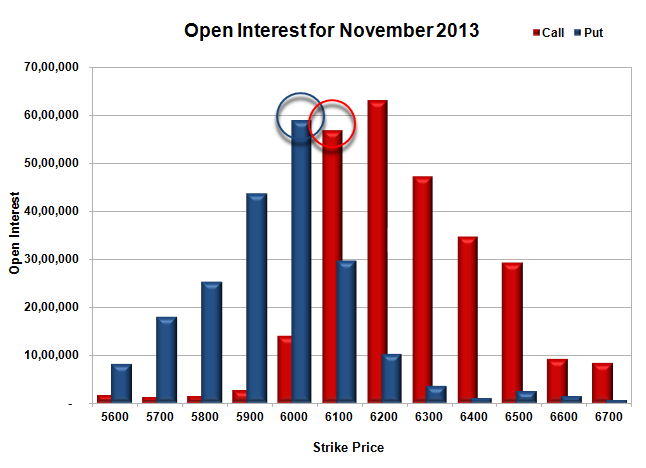 Call option 6100 added 5.10 lacs huge amount of OI with profit booking seen at 6200 and above strike prices. Put option saw huge short covering from 6100 and above strike prices. Nifty Open Interest is at 85,63,550 down by 15,85,150, whereas Dec Series added 25.58 lacs with small decrease in price, 100% rollover with huge short build-up in next series. Bank Nifty Open Interest is at 11,94,775 down by 2,52,050, whereas Dec Series added 2.12 lacs with small decrease in price, mostly roll-over with some long liquidation. FII’s sold small 0.10 lacs Futures, mostly short build-up, as their net OI increased by 29714 contracts (includes 121760 longs and 121968 shorts for the day) and the average price per contract comes to around 6021.00. FII’s future open contract as on date is 560030. 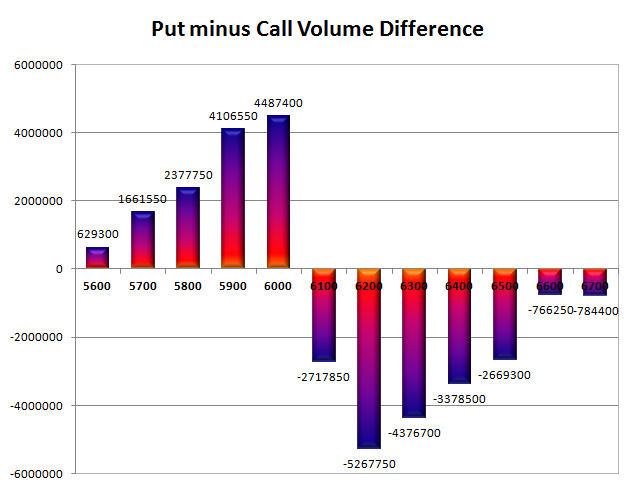 PCR Open Interest (Volume) is precariously placed at 0.873. Initial and best support still at 6000, with huge OI of 58.95 lacs and below that at 5900 with OI of just 43.78 lacs. 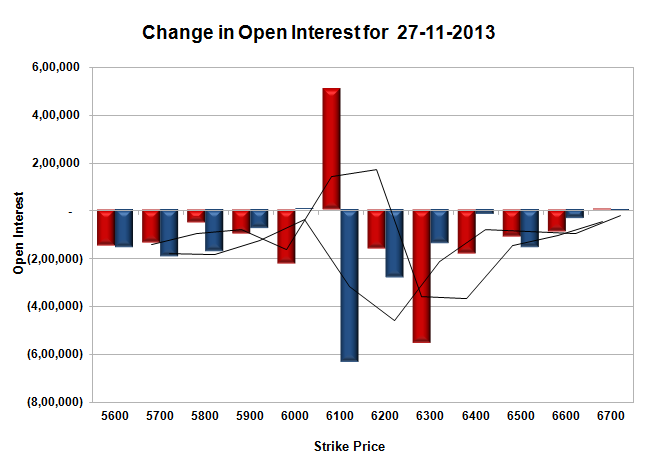 Initial resistance now at 6100, with OI of 56.82 lacs and above that at 6200, with highest OI of 63.07 lacs. Expiry Day Range as per Option Table is 5994 - 6116 and as per VIX is 5990 - 6124 with 6054 as the Pivot.